One of the biggest advantages that benefits of this system are enhancing transparent during the bills counting process. This was always a problem and a source of the mistrust on the part of the counter and the customer. The design of most banks is such that the cashier is not exposed due to privacy reasons. In some cases, rogue cashiers would abuse this privacy by removing some notes from the lot. The customer would be left with no defence would lose to such dubious activities. The customer would raise the false alarm that their money has been stolen and that would cause chaos. But with an external display system, such problems are eliminated. 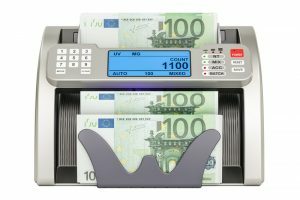 Recording of the counting process is one of the biggest improvements of the mixed bill money counter machine. Unlike the past when the machine would do just the count, now you can easily monitor and record every activity that the machine has done. With the introduction of the external display system, it is possible to record every activity that the machine does. With that, for any activity that would take place is recorded for future reference. The smoothness of the operation depends on the effectiveness of the machine. That is why crucial features must be checked to ensure smooth operations. That is what external display system offers. The system allows for the backup of the data which enhances the smoothness of operating the business. The feature enables the user to improve the performance of their business. They help to smoothen your business by eliminating hickups that come with cash counting. These are main benefits of investing in a machine within an external display system. It is a crucial factor that you need to consider when it comes buying mixed bill money counter machine with these features.